The intersection of Market St and the Bypass. Between Verizon and Five Guys. 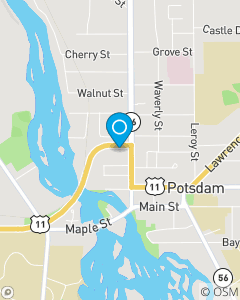 Serving the auto and homeowners insurance needs of the Potsdam, NY area since 1997. Providing quality insurance services while recognizing customer needs for auto, home, and life insurance products. Our team strives to provide quality and friendly customer service. Stop in and see us for a FREE insurance quote!